Jonaz Pilz shows how to use multiple versions of a vertex map to create a specific effect. Have you ever wanted to blur a vertex amp within Cinema 4D? Maybe you are creating an effect that needs softer edges than the ones offered by the basic vertex map alone. As an example, if you are creating a growth effect using a displacer, you wouldn’t want to have sharp edges displayed in the displacement. 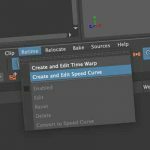 Watch this short quick tip from Maxon’s Jonas Pilz who shows how you can blur a vertex map by making a copy and setting the mode to “Average” and setting a number that works for the blur. Using this approach, you can also invert maps too.